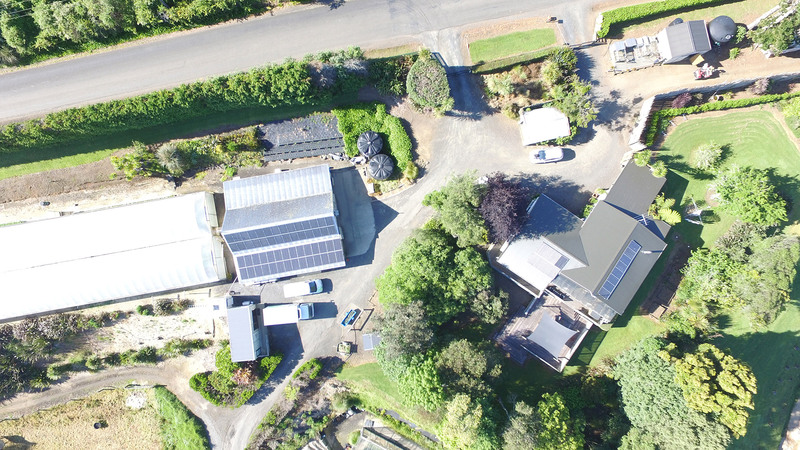 Last month Skysolar were hard at work across the North Island installing photovoltaic solar systems both for homes and for businesses. 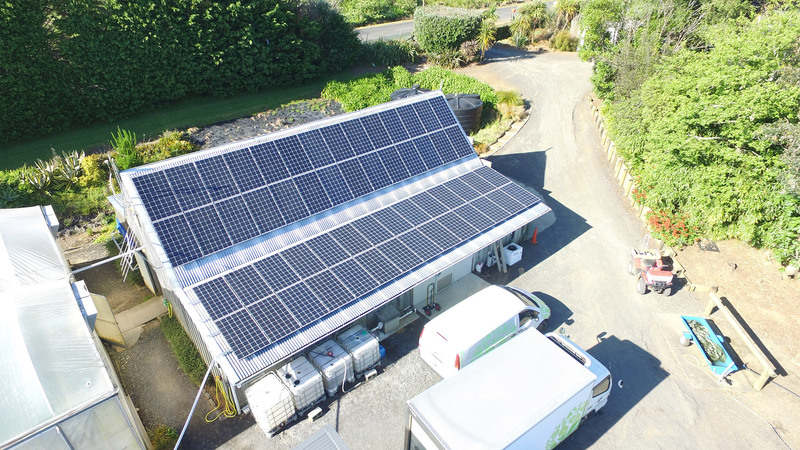 Solar for business makes sense if your machinery or plant consumes a lot of energy from the power grid during daylight hours, like Scarborough Fare Herbs in South Auckland. Fully automated glass house environments, a picking/packing shed and several properties all consuming power meant a large bill every month. Considering solar for business is largely a calculation of return on investment. Choosing to power your business with solar is an investment that can be measured by dividing your total install cost by the yearly power savings it generates, giving you a pay-off period. After which it’s all cost savings. In Scarborough Fare’s case, the solar for business decision was also to be active step towards living their ethos of sustainable growing. Inverter Details: Fronius Symo 3 phase inverters- 1 x 20kW, 2 x 10kW. Fronius Primo single phase inverter 1 x 4kW. Panel brand and power output: 110 x 300W Trina Honey Plus on sheds and 16 x 285W Trina Honey Plus on the house. We have used 25 years of NIWA weather data for Auckland to overlay the solar generation with customers consumption. This enables us to ensure the solar for business system produces usable power during their daytime period rather than over producing and sending power back to the grid. We’ll keep track of this installation’s performance and follow up with another post early next year when we have some data to display. Make sure you subscribe to our SkySolar newsletter to stay in the loop, or follow us on facebook. If you have ever considered solar to power your home or business, please get in touch with the solar experts here at SkySolar. 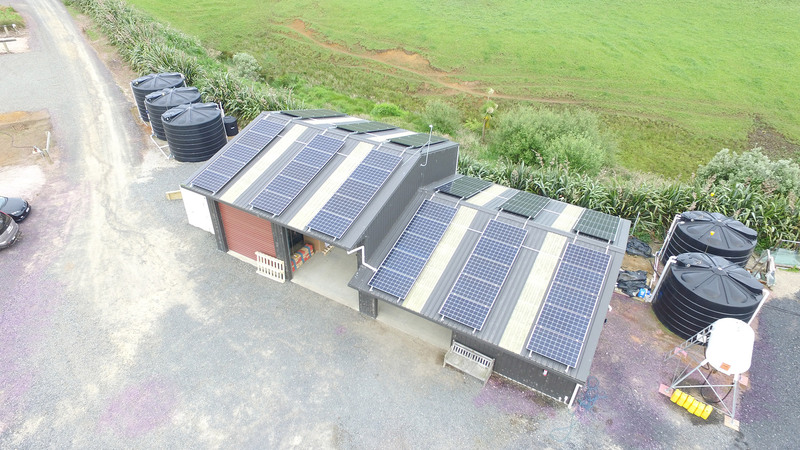 Solar for business is an investment and a real badge of honour for kiwi businesses.